The garden home that keeps on giving! 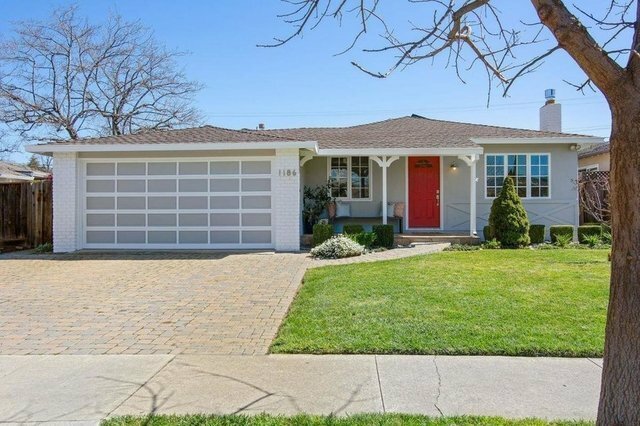 Desirable single family home in coveted Cupertino neighborhood of Silicon Valley. Best school district. Walking distance to award-winning school (no need to pick up/drop off). Raised happy and successful kids. 4 bed, 3 full bath, 2 car garage. Sellers fit 3 cars in driveway and used finished garage as playroom/storage. Solar panels worth $18k power entire house & come with sale. Beautiful garden in back to host BBQ's w/ bonus shed worth $6k for storage/kid's clubhouse/whatever you decide. Completely move-in ready w/ refinished hardwood floors throughout, fresh paint, light fixtures, brand new fireplace, and more! $50k+ amount of prep work put in before entering market. Bright with skylights and recessed lighting. Gorgeous master bed garden room. Tons/diverse array of restaurants and shops nearby. Apple campus nearby. Lovingly and meticulously maintained home. Close to 80/280 freeway entrances. This home has it all. Welcome home!